Refuting sending the letter to Advani, senior Joshi wrote to chief election commissioner Sunil Arora seeking investigation into the fake letter circulating on social media in his name. 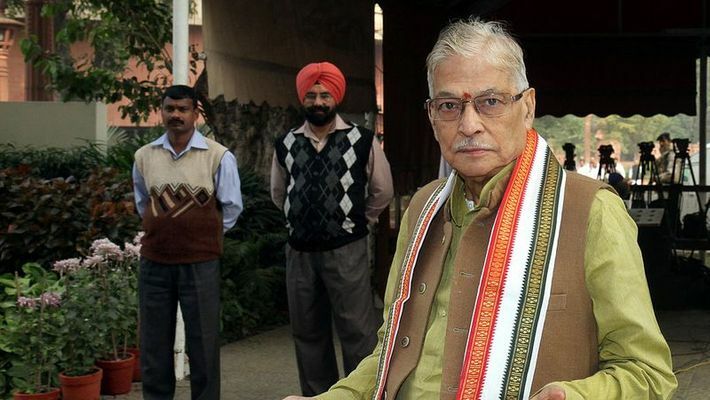 New Delhi: After the letter which was allegedly written by 150 armed forces veterans which was later debunked by some purported signatory of it, now another such letter, allegedly written by veteran Bharatiya Janata Party leader Murali Manohar Joshi to BJP patriarch Lal Krishna Advani, was being widely circulated on social media. In the letter to Arora read, "My friends from the press have informed me about a fake letter that is being circulated in my name on social media. The letter says that I have presented a letter to LK Advani." "A copy of the fake letter was also sent to me and I have attached the same with this. I have not written any letter of this kind to Advani ji and I request you to conduct an in-depth investigation about where this letter has surfaced on social media from," the letter further read. The 'fake' letter stated that the BJP will not be able to score even 120 seats. “BJP will get barely 8-10 seats in the first phase of Lok Sabha elections 2019 which was held on 91 constituencies of 20 states,” it read. The letter also mentioned that although Joshi was under immense pressure to join Samajwadi Party or Bahujan Samaj Party, he could not leave his home (BJP), however, he was later thrown out of the same house after being insulted. MyNation also spoke to the personal secretary of Joshi who claimed that they received a copy of the fake letter on Sunday morning and he immediately rubbished the letter on Facebook. Moreover, the fake letter had an imprint of the news agency Asian News International (ANI) watermark over it, which was strategically placed to make the picture of the letter appear as verified and legitimate. However, the ANI clarified in one of its tweet that the letter is fake. “Screenshots of BJP MP Murli Manohar Joshi statement on his letter head is circulating on WhatsApp and Twitter with an ANI watermark. No such letter exists. This is fake,” ANI tweeted on Sunday (14 April).